to an end-table or shelf...sort of like a snow globe, but without the glass! 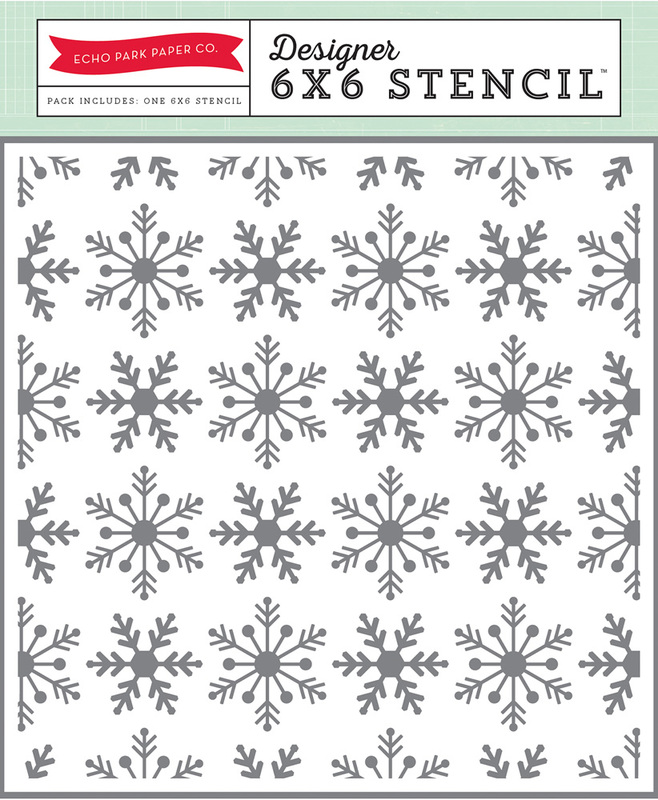 and stencils from the “Hello Winter” Collection. The trees were painted with a leaf green acrylic paint and allowed to dry thoroughly. paint before dabbing over the stencil. to the back of each star and set aside. snow or cotton batting for covering the foam! paper straw and his cheek was embellished with a pink enamel dot. The straws were cut to the desired lengths and then inserted into the foam. Use a dab of glue around the bottom of the straws to secure them in place. 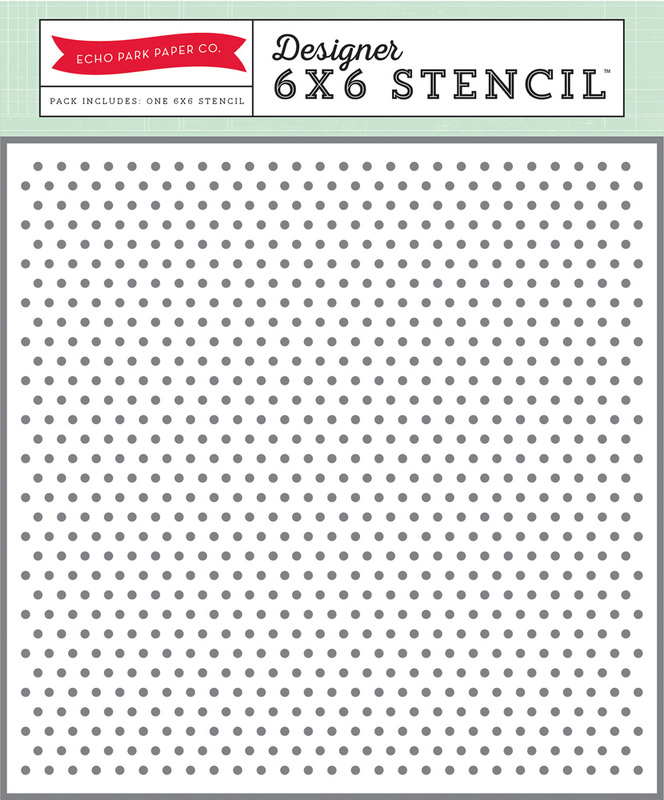 Ephemera Pack was added with glue dots. a paper crimper and used as a basket filler around the edge of the floral foam. 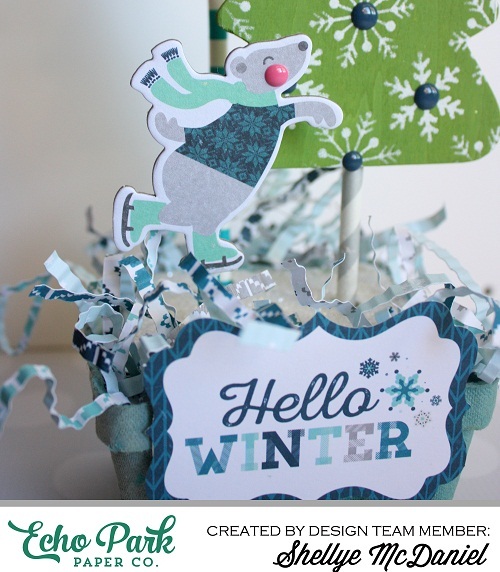 Add more trees, more chipboard pieces or even try stenciling the basket to create your own unique display! This is also an easy project for the kids to help along with.